Links golf can be defined as golf played on open, seaside courses; tree-less, rolling, open to the wind, with holes not so much constructed as “found” in the natural habitat. Of course, most of the courses one envisions as “links” can be found along the cold, windy shores of the British Isles and Ireland. The Abaco Club’s course checks all of these boxes except one: it’s tropical. 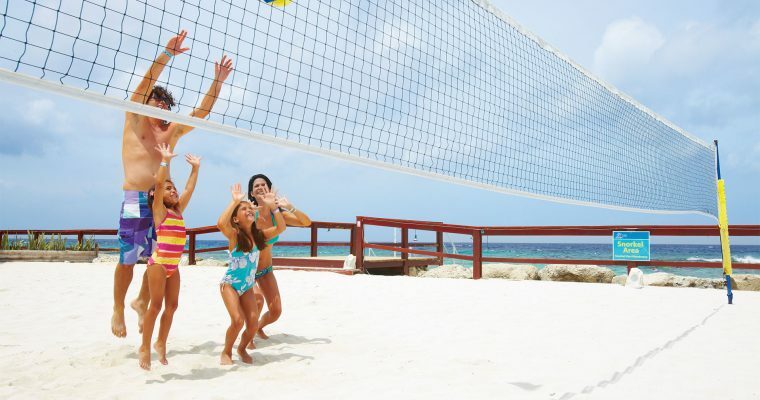 Instead of cold wind and driving rain, warm Caribbean breezes and sunshine fill your round. 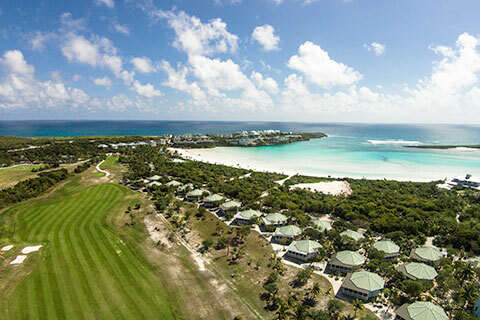 Be sure to play the wind, but save for an occasional passing rain shower, the weather at the Abaco Club will rarely play a factor in a round of golf. 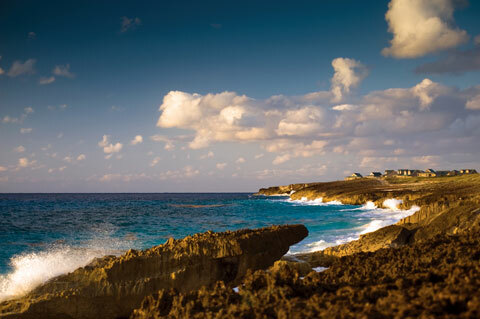 Although the course was hacked out of a tropical jungle on this coral-and-sand-based Bahamian island, it inherited its linksy genetics from the architects: Scotsman Tom Mackenzie and Englishman Donald Steel. Together, they formed the rolling, humpy fairways, installed the pot bunkers and multi-tiered, run-up green complexes, designed the incursions of native vegetation and laid out the holes to take advantage of the seaside views all along the way. As with any links course worthy of the name, this one is defined by the wind. 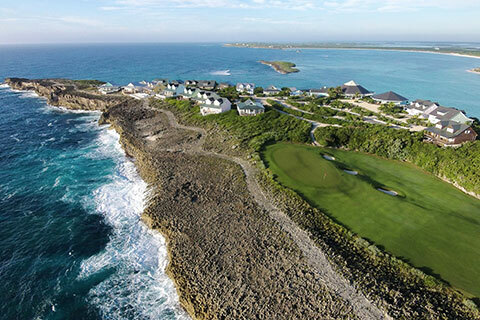 The front nine skirts back and forth along the Abaco Club’s 2.5-mile beach before moving up to the rocky coral outcrop that towers above the crashing waves of the deep-blue Atlantic. 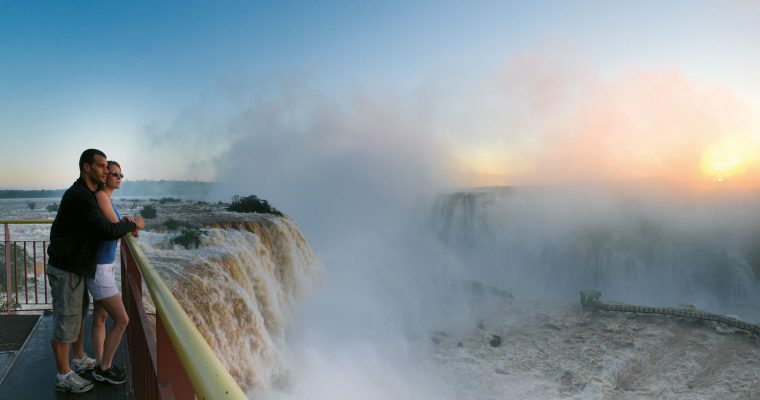 But the entire course is open, and out here on the western edge of the Bahama archipelago, the wind is a constant factor. Sometimes gentle, sometimes hard, virtually every shot is defined by the influence of the zephyrs. On a calm morning, the 6,800-yard course can be friendly, yielding good scores and lots of fun. The same afternoon, when the tradewinds pick up, every shot (including on the green) can be a challenge, requiring thought, strategy and determination. 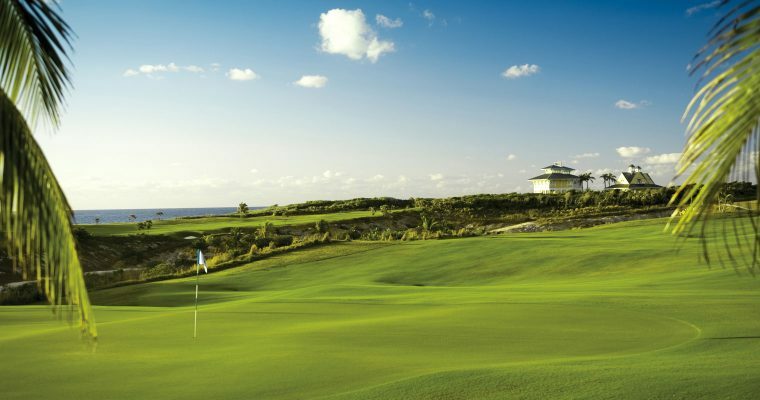 Considered one of the top tracks in the Caribbean, The Abaco Club is always in excellent condition, and the paspalum-grass greens and fairways (which tolerate salty water conditions) run hard and fast. The views of the powder-soft sand beach on Winding Bay are lovely. Roll the dice and launch your tee shot over the beach to drive the green on the short par-4 5th. The views from atop the coral outcroppings on the back nine are stunning; if the tides and wind are running high, you can get a refreshing salt-spray shower on the par-3 17th green or par-5 18th green when a wave crashes against the shore. The Abaco Club recently expanded its excellent practice facility, in part because of the members of the club who play professionally around the world. Look for the genial Darren Clarke, who often comes to tune up his game before a big U.S. tournament, on the practice tee or out on the course. Perhaps you can enjoy a pint with him at Buster’s Beach Bar after a round. It’s the perfect place to end a beautiful day at this tropical links paradise.